The experts agree on one thing about Texas barbecue: the slower you cook it, the better. But the meat that is used is open to discussion. Brisket and ribs are the most popular, but smoked sausage, chicken, and cabrito (young goat) are also common. The rule is, there must be plenty of accompaniments: boiled pinto beans, potatoes or potato salad, cole slaw, corn bread or biscuits, pickled peppers, watermelon and ice cream. The secrets to that real Texas barbecue flavors is in the wood chips that go on the coals – they produce the smoke that give the barbecue its distinctive flavor. Mesquite chips are the best, but hickory or pecan chips are also quite good. The barbecue sauce should be dark brick-red color, and thick. It should is spicy, and a little sweet. The sauce is basted on the meat while it cooks, but you should save some to use as a sloppin’ sauce when you eat it. If it isn’t messy, it isn’t barbecue! In 1 1/2-quart saucepan combine COORS,tomato juice, onion, garlic, Worcestershire sauce, catsup, brown sugar, lemon, paprika, mustard, hot pepper sauce, 1 teaspoon salt, and 1/2 teaspoon pepper. Simmer, uncovered, for 30 minutes or till reduced to about 1 1/2 cups. About an hour and a half before cooking time, soak mesquite or hickory chips in enough water to cover. In a covered grill arrange hot coals on both sides of a foil drip pan. Drain chips. Sprinkle the coals with some of the chips. place brisket atop grill over drip pan. Brush with some of the barbecue sauce. Lower hood and cover meat with foil tent; grill 1 hours, adding additional coals and chips as needed. Turn brisket, brushing both sides with additional sauce. Lower grill hood again; grill 50 to 55 minutes more or till meat is well done, adding more coals and chips as needed. brush with sauce frequently during last 20 minutes of cooking. Heat and pass any remaining sauce, discard lemon slice. 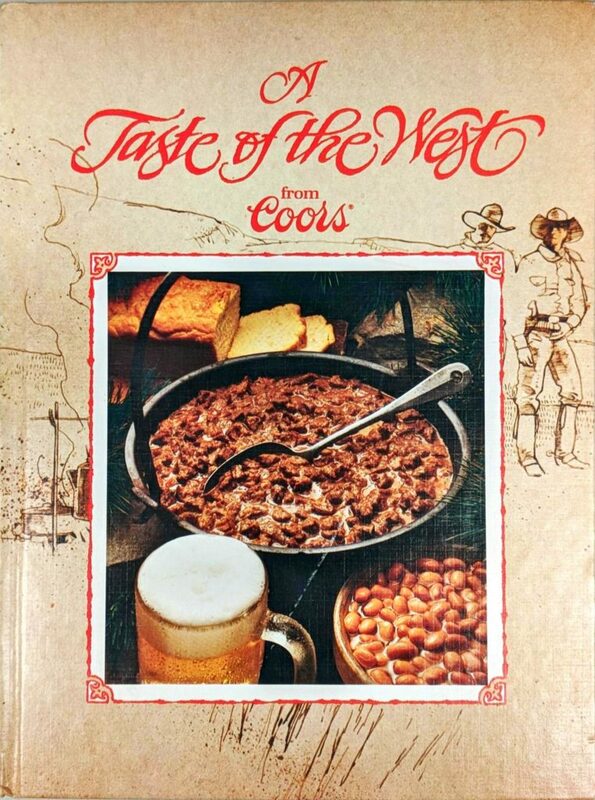 Serve with COORS BANQUET. Makes 12 to 16 servings.